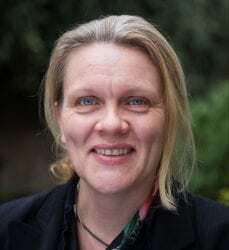 Elizabeth Cox leads NEF Consulting, overseeing the development of the consultancy role within the New Economics Foundation and collaborations with other organisations. Elizabeth is an experienced economist who has led the New Economics Foundation’s UK and international research on localities and local economies over 13 years. Her work ranges from conducting policy reviews, research design, and working with organisations to develop strategic theories of change, to developing and supporting the implementation of practical approaches to drive change. These include Community Wealth Building to develop local economies, co-designing outcomes-based commissioning approaches for local authorities to increase the social value created, and developing impact frameworks for social impact investors and social businesses. Elizabeth is a specialist in developing co-designed approaches, and has extensive experience of managing large and complex projects. She has collaborated on projects across the UK and in South America, South Africa, India and Europe. Prior to working at the New Economics Foundation, Elizabeth was a research Fellow at Aberdeen University, and a policy advisor in the Ministry of Agriculture, Guyana. Outside of NEF, Elizabeth is a founding Director of Vauxhall energy, a community benefit society that empowers residents to generate their own clean energy on the roofs of five blocks in Vauxhall Gardens Estate, London. Developing and implementing a robust methodology to assess policy priorities for the Commissioner of Future Generations, Wales. Applying Multi-Criteria Analysis (MCA) to support the selection of alternative transport investments for the Commissioner of Future Generations, Wales. Working with Dudley Metropolitan Borough Council and local Anchor organisations to develop a Community Wealth building model to promote local economic development in Dudley. Socio-economic baseline report for meanwhile use of a major regeneration site in LB Enfield. Developing a strategic evidenced-based Theory of Change with Disney (EMEA) and partner organisations to improve the emotional resilience of children with life threatening or life limiting conditions. Co-design and delivery of an evaluation of a service for domestic abuse survivors designed to engage survivors who have disengaged with other support provision. Developing a behaviour change impact framework for the Royal Botanic Gardens Kew’s Grow Wild Programme, and implementing a multi-year evaluation. Working with a consortium of partners on a multi-year programme to provide evaluation, learning and support services to the 59 grant holders of its “Help Through Crisis” programme.